The Americans with Disabilities Act intends to help people. But for some it's a major headache. Sunny Wong says her parents can't afford to make all the necessary improvements to their restaurant. On a recent Thursday afternoon, Sunny Wong lingered outside Yuet Foo Seafood Restaurant in El Cerrito, a pair of white sneakers glinting beneath her business slacks. To her left stood Travis Wirt, a contractor she'd hired to help renovate the building; to her right, an Americans with Disabilities Act (ADA) inspector she'd hired to scrutinize its architectural features. 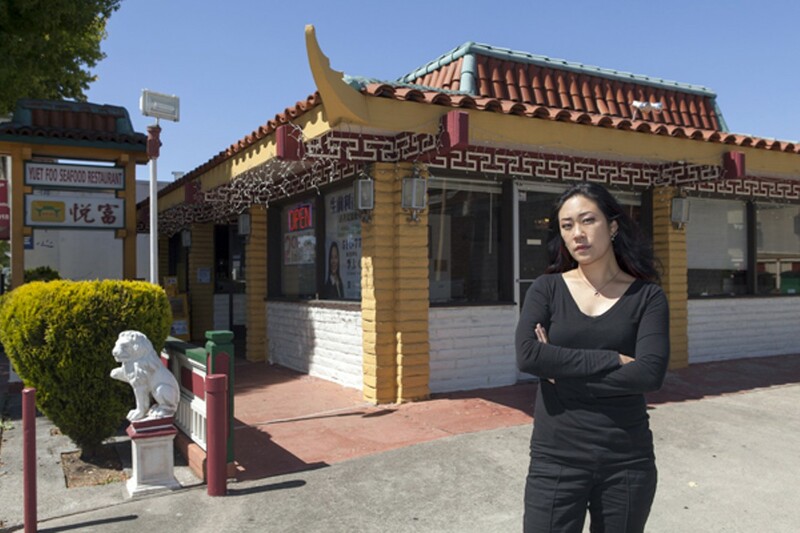 Wong's parents have owned the deed to 10350 San Pablo Avenue, where Yuet Foo Seafood is housed, since 1983. They've leased it out to five businesses and undergone several building inspections, the last of which happened in the fall of 1999. Never once did a city official question the restaurant's compliance with the Americans with Disabilities Act, a federal law that requires all public venues to be completely accessible for people with disabilities. Now, because of a gap between the federal law and city enforcement, Wong's family is being sued. 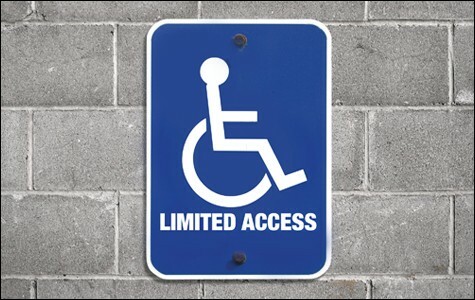 The plaintiff, Albert Dytch, alleges that he was denied access to Yuet Foo when he visited the restaurant on January 6, owing to an unevenly paved parking lot and a restroom that wouldn't properly accommodate his wheelchair. Dytch, who has muscular dystrophy, has filed 48 similar lawsuits against East Bay businesses — mostly restaurants — in the past four years, the vast majority of which have resulted in settlements that required the defendants to pay several thousand dollars in attorneys' fees, plus the minimum $4,000 per violation in damages that California law guarantees for any civil rights plaintiff under the Unruh Civil Rights Act. Some critics would call Dytch a "frequent flier" or "vexatious litigant" because of his ADA lawsuits. Others would say that he and his attorney, Thomas N. Stewart, are simply fighting the good fight, exposing the fissures in municipal law that allow businesses to flout federal ADA guidelines without ever knowing it. Wong's predicament isn't all that uncommon in California. While most states don't allow litigants to benefit financially from ADA lawsuits, California does, resulting in some abusive lawsuits. It's clear that the Americans with Disabilities Act, while well intentioned and instrumental to giving people with disabilities better access, also has some major flaws — both for business owners and for those with access issues. But Wong said she won't give in so easily and agree to a settlement, unlike other restaurateurs who have settled with Dytch in order to avoid a costly legal battle. "It's not about the money," she said. "It's about the principle." Before the Americans with Disabilities Act passed in 1990, being in a wheelchair meant living as a second-class citizen in many ways. 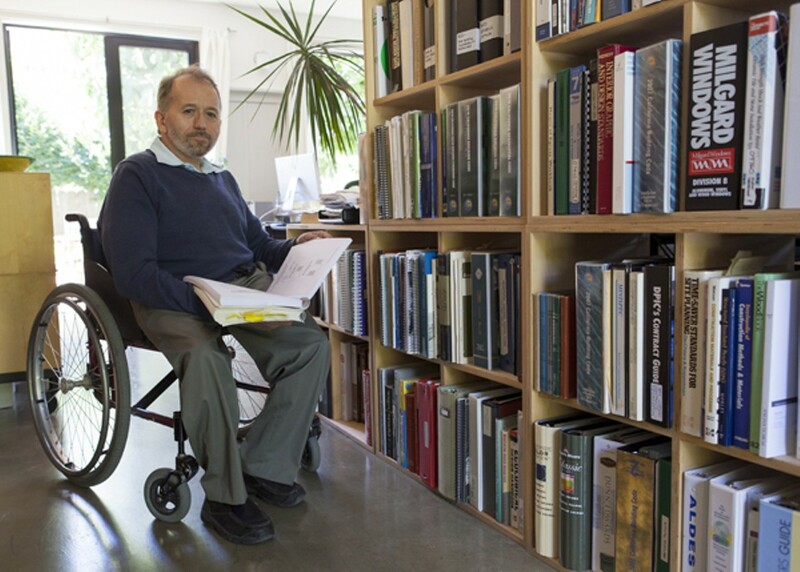 Crosswalks didn't have ramps, many parking lots didn't have handicapped-accessible spaces, and some public restrooms were completely unusable, said Erick Mikiten, an architect, ADA specialist, and wheelchair user who grew up in San Antonio, Texas, and is now based in Berkeley. He added that, in some cases, a person with disabilities could get in the restroom but couldn't get out, since there wasn't enough clearance to open the door inward. In many stores the counter tops were set too high, so a disabled person couldn't use them to sign a credit card receipt. "If they were 42 inches, they were at my eyebrows," Mikiten said, "so I'd feel like a child asking for help." Granted, Mikiten's hometown of San Antonio was one of the worst places to grow up as a wheelchair rider — Mikiten said he had to fight his neighborhood high school to install ramps so he could attend school like all the other kids, and his middle school wasn't accessible at all. "Everybody in my area went to the same middle school, and I went to one in a different area, alone," he said. By contrast, California was more forward-thinking. It actually implemented disability laws in its building code starting in 1968, when the state began requiring access for all public buildings. It extended that statute to private edifices in 1970. Mikiten credits the state for being an early adopter — that's why he moved here in the Eighties — but acknowledges that the 1990 federal ADA act was still a landmark. "Before ADA law passed in 1990, [life] was dramatically different than it is today," he said. Yet even a transformative piece of civil rights legislation isn't without its flaws. Although ADA law is intended to help people, it's extremely difficult to enforce. 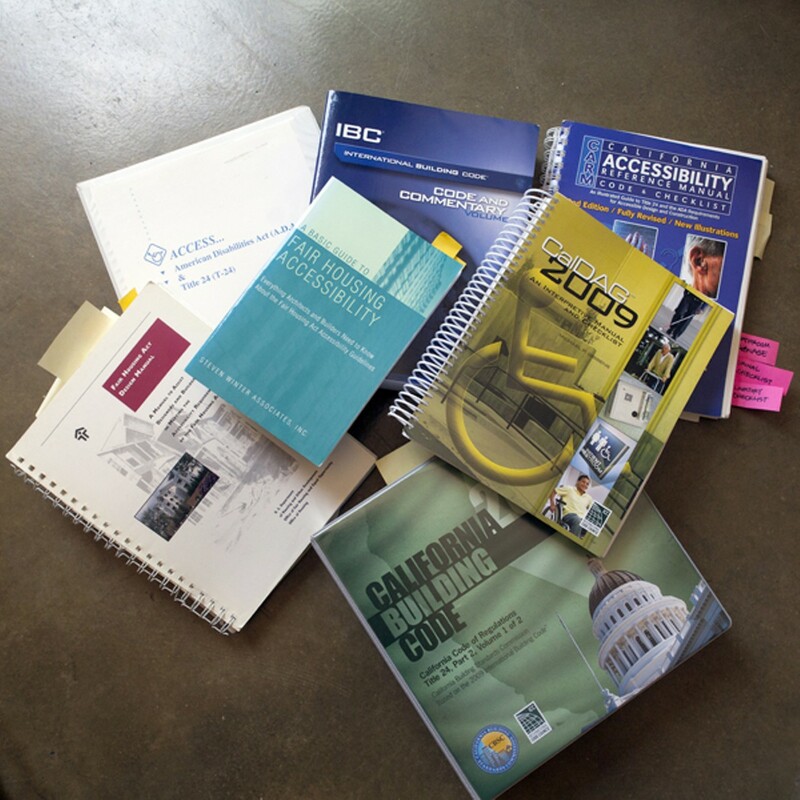 There's no federal agency that oversees city permitting processes, and local building departments seldom, if ever, hew to federal ADA law when conducting inspections — at best, they'll impose the state building code, which has similar, but not identical, ADA statutes. Many cities don't even do that, said Larry Paradis, executive director of the Berkeley nonprofit Disability Rights Advocates. And they don't have to, either: Cities have the power, but not the duty, to enforce ADA law, and many choose not to bother with it at all. Some business owners have tried to sue city building departments for not mandating ADA compliance, but the courts have always ruled in the city's favor.